The Foundation 200hrs Vinyasa flow yoga course, runs over 7 months from October each year to May the following academic year and is based on nearly three decades (more than twenty five years) of my personal experience of living Yoga and Ayurveda. The program will consist of a variable number of non residential weekends in London . How to transmit the principles of Flow in the context of Hatha Yoga. Principles of Vinyasa, Sequencing, Use of props and hands-on adjusts. Sanskrit for Yoga, Mudras, Mantras and Meditation Techniques. Teaching Methodology and Teacher’s Tools. Anatomy and Physiology of Yoga postures and Breathing. Energetic concepts based on Tantra, Hatha Yoga and Ayurveda. Philosophy and History of Yoga. How to set up your own classes, Approach Yoga Studios, how and when to teach workshops, yoga holidays. Yoga Cvs, Cover Classes, Self Employment,Insurance for Yoga. This course is intensive and highly experiential. You will experience teaching from the very first module and build up your confidence and skills gradually and with the supervision of me and Mentors and you will be continuously able to assess your progress as you go along. The course will be structured as practice time and “teaching labs”. The TTs will teach in/to small groups of peers starting from a single technique (Asana, Pranayama, Mudra, Kriya, Bandha, Meditation or Mantra). These labs will become incrementally more complex, moving on the TTs from teaching the single technique to creating simple sequences with a specific purpose (unlocking a body part/ energetic effect/ alignment based). This way you will progressively become familiar with sequencing that is a bit like playing with the building blocks that make a class. My aim is to offer you a methodology that you can clearly refer to and offer you the tools that you can use to shape your own teaching. At the same time I wish to facilitate a space where we have fun learning how to practice and teach so that we maximize the learning curve in a stimulating environment. Ultimately Teaching is an art and as every art is a way of expressing your creating self. Before you can reach an artistic level of expression though there is great deal of techniques and repetition involved and the Course is the ideal way for you to learn and practice your teaching skills. Anatomy, Philosophy and History of Yoga will be interspersed throughout the duration of the Course so that you will have the time to familiarise yourself with these concepts gradually and organically. IN that way you will have time to digest them rather than forcing them down your system and you should become able to integrate them in your teachings whenever you feel ready to do so. Elements of Classical and Modern Yoga, devotional and scientific approach all come together in this course to offer you a cutting edge program that aims at integrating the ancient teachings of Yoga into our contemporary lifestyle! 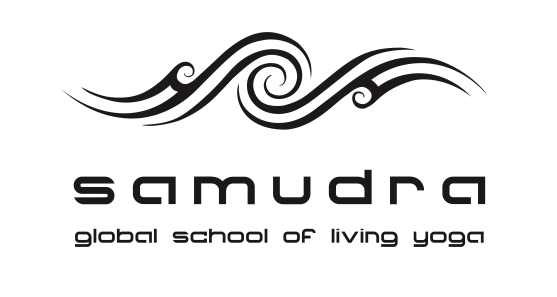 More than 70% of the Course is taught by Alessandra Pecorella, Senior Yoga Teacher and Founder of the School. The Anatomy Module is taught by Paola Ceccarelli, Registered Osteopath and Yoga Teacher. Our teacher training course has met the stringent requirements set by Yoga Alliance Professionals. Our graduates are trained to the highest standard and are eligable to register with Yoga Alliance Professionals. Includes progressive practice of traditional Hatha Yoga techniques and emphasis on asana, pranayama, mudras, Kriya, Bandhas plus training on how to teach the above. Asanas: Contact hrs 84 / Pranayama 10 hrs / Bandhas 4 hrs / Kriyas 2 hrs. Learning to observe, demonstrate, motivate, be inclusive and adapt to individual needs. (b) Energetic concepts based on Tantric and Hatha yoga. Study of both Orthodox and non orthodox branches of Yoga. Comparative study of classical yoga and Tantric Yoga and its application in contemporary yoga classes. Observing and assisting in classes taught by qualified teachers. Also teaching in class environment.